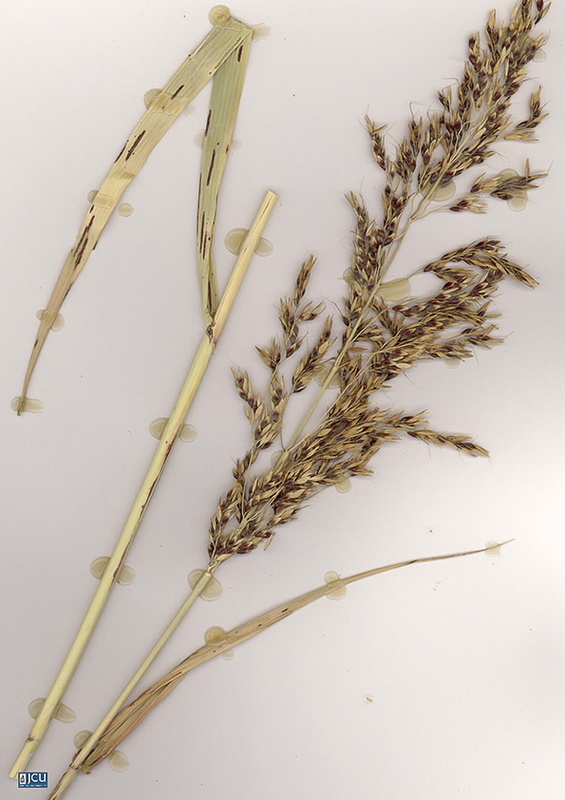 This vigorous grass has erect stems thick at the base, 1-1.5 cm diameter, these arise from a thickly jointed rhizome; leaf blades to at least 50 cm long and up to 2 cm wide. Inflorescence a panicle, pale-green to reddish-brown up to 25 cm long, spikelets numerous. Seeds brown to black to 4 mm long.